Budget, track, and forecast your needs for tomorrow. Will your property run out of money in the next five years? Use our calculator to find out. 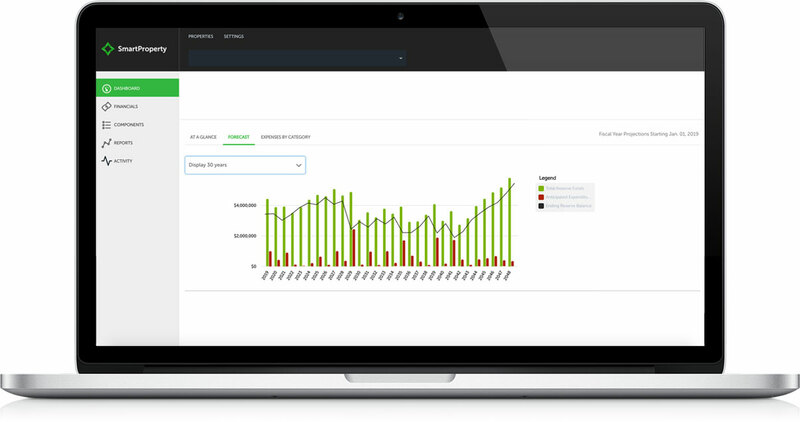 SmartProperty helps you forecast your property’s capital reserve expenditures, so you’ll never be caught by surprise again. SmartProperty helps improve the accuracy of your budget so you don’t run out of money. 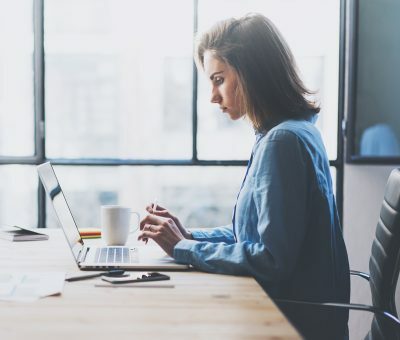 With a 20- and 30-year forecast and year-by-year snapshots, you can confidently track your historical costs and plan for your future. Create your living capital reserve history today and throw away that budgeting crystal ball. 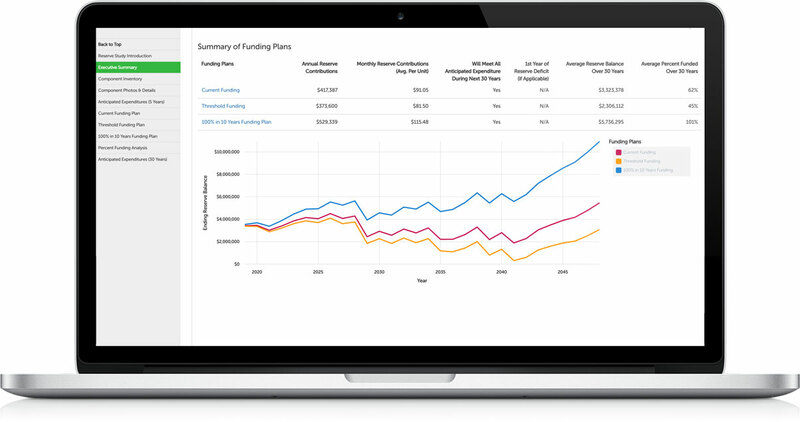 Quickly build forecasts, what-if scenarios, and smarter capital reserve budgets—without spreadsheets. Spend less time hunting down your component history and more time focused on your owners. 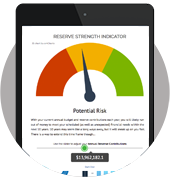 Tracking your capital reserves has never been this easy. There is nothing worse than the stress of putting together your budget every year and knowing you’re not reserving enough. 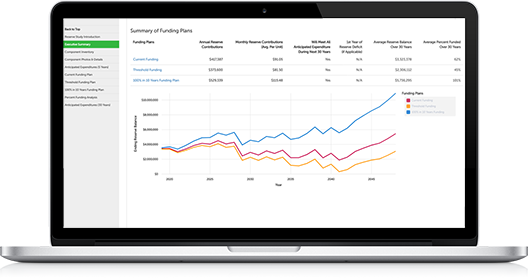 SmartProperty gives you capital reserve contribution recommendations that are easy for your board to understand, so you can make the right decisions when it comes to budgeting for fiscal responsibility. 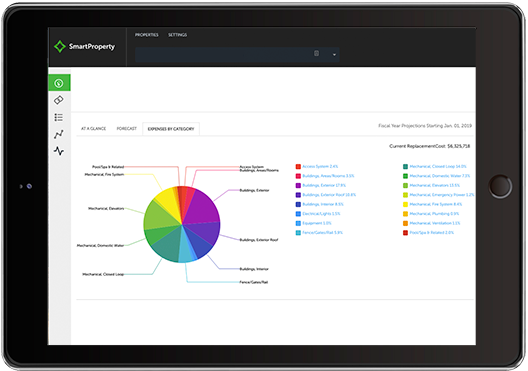 Ron Ficalora, Senior Association Manager, The Helm Management Co.
See what SmartProperty can do for you with our free demo.